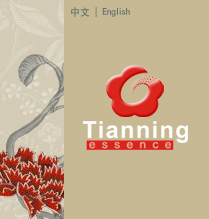 Tianning Flavor &Fragrance (JiangSu) Co., Ltd is the enterprise manufacturing flavor and fragrance over 20 years. It is a gardenly modernization company located in Jurong city, JiangSu. Tianning Flavor &Fragrance (Shanghai) Co., Ltd is founded, it organizes design, application, production and the company is located in Qing Pu Industry Park in the western part of Shanghai with a total area of 20000m2. Excellent facilities and environment provide good condition for faster and more healthy development of Tianning. From Total Quality Management System to ISO9001(Quality Management System)、HACCP(Hazard Analysis Critical Control Point System) and Health assurance certification system, the company organizes the design ,creation , production ,sales and service. The company ranks high among those in the same line when it comes to the overall competitiveness. The company has introduced the production techniques in domestics and overseas of over one thousand varieties of flavor and fragrane, meet with wide reception among customers and widely used in food, cosmetic chemical product. The company boasts a well-trained blending team and R&D group, Equipped with advanced analysis instruments; they are competent in developing and applying new technologies. Backed by strict quality control regulation and advanced analysis techniques, our quality assurance system ensures an effective control over quality. Priority is consistently attached to market research, market expansion and developments in the world market. Our task is to meet customers’ need. We are always committed to supplying the newest and best product to our customers and offering them the most efficient technical support. Our sales network is being perfected. Branch offices have been set up in Shanghai, Guangzhou, Wuhan, Zhengzhou, Shenyang, and many agents have been appointed in large and medium-sized cities. All these facilities can provide prompt service to customers. We will as always continue to make unremitting effort to better serve you. We have been gradually improving the company's sales system to cover all over country. We have also set up SHANGHAI TIANNING IMPORT & EXPORT CO., LTD., with which, we have market our products world-widely. Our products enjoy high reputation and being well accepted by clients all over the world, especially in southeast Asia and Africa. Though our unremitting efforts, “Tian Ning” company is always ready to serve you and in pursuit of the success with you.